The EU-Turkey deal signed in March to stop the flow of refugees into Europe has turned the Greek island of Lesbos into a floating detention centre. Some 6,000 migrants and refugees are now stranded there until their asylum claims have been processed. Most will likely not qualify, and face deportation back to Turkey. Tensions with locals run high. Many have shown solidarity, but far-right activists are protesting loudly. 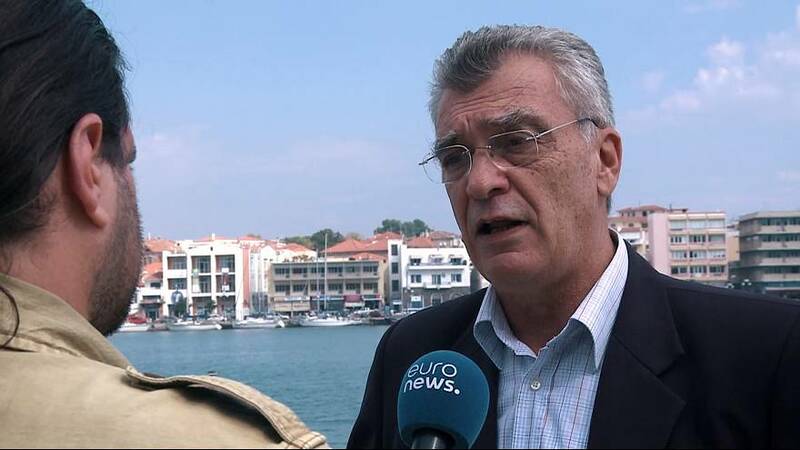 Mayor of Lesbos Spyros Galinos says the island’s residents feel abandoned – as if both Europe and the Greek government had dumped the refugee crisis on them. “I have long noted the dangers that this (EU-Turkey) deal entails, as it’s in essence caging people on the island, and this can’t go on. There is already a great deal of unrest among refugees, but also among the local community, which is concerned. There are also extreme voices, that are trying to stir it all up. That’s why we need de-congestion, as soon as possible – immediately, I would say,” Galinos told Euronews. Some 5,000 refugees and migrants live crammed on the island’s largest refugee camp, in Moria – around twice its capacity. The United Nations’ Refugee Agency has praised the Greeks’ efforts. “In Greece we still see a high level of hospitality and understanding for the situation of refugees. Maybe because many Greeks remember they themselves or their ancestors have been refugees,” said UNHCR Greece spokesman Roland Schönbauer. But both inside and outside the Moria camp, many are running out of patience. Last month, it had to be evacuated because of a fire, which some say was set intentionally. Previous fires have devoured centuries-old olive trees in nearby properties. Across Lesbos, locals have staged protests and scuffles have erupted, with members of the Greek ultra-right wing party Golden Dawn said to be involved. “Even we, journalists, are experiencing extreme situations. There have been attacks against our colleagues during a demo of Moria villagers, but also when the hot spot caught fire on September 19,” said Anthi Pazianou, a local journalist. In the port city of Mytilene, the capital of Lesbos, many say the island feels like a pressure cooker.